My name is Sarah E. Brown, and I believe that queer food is vegan food, and vice versa. As a plant-source only site, Queer Vegan Food posts only recipes that don’t include animal products of any kind. You will also find truly queer recipes here–like chocolate-covered kelp noodles, for instance–in an effort to expand the vegan culinary world beyond vegan cuisine which imitates the non-vegan food world (vegan ice cream, hot dogs, hamburgers, fake meat, mac n’ cheese, etc.) While this site will feature some recipes that fit the above description, its primary focus is, simply put, on the weird vegan recipes you’d likely not see on other blogs. Additionally, I believe that people of all sexual orientations can benefit from adopting a diet that prevents cruelty towards animals. A vegan diet helps improve personal health and the health of the planet. Articles on this site are written with the goal of promoting freedom and joy for all human- and non-human beings. This blog welcomes diverse viewpoints and opinions expressed in a respectful, sincere way. I am the author of The Queer Vegan Food Cookbook, an impressive series of delicious, unusual recipes with 100% of proceeds going to Woodstock Farm Animal Sanctuary. 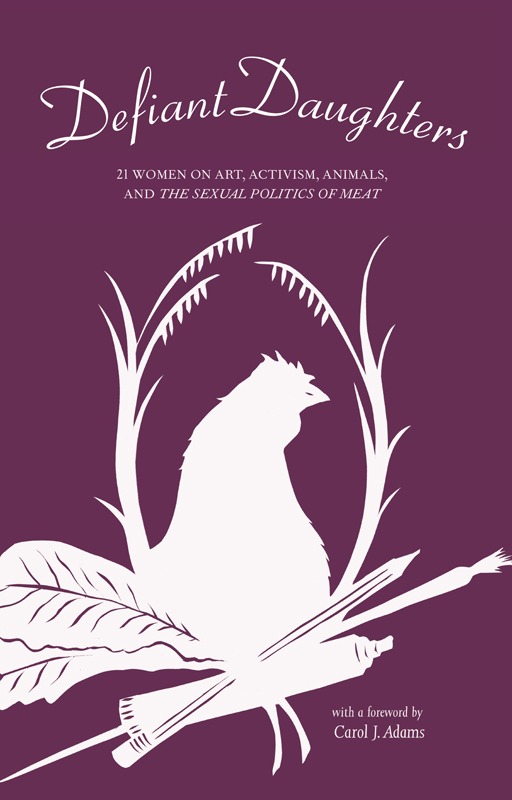 I am one of the 21 women with an essay published in Carol J. Adams’ book Defiant Daughters: 21 Women On Art, Activism, Animals and The Sexual Politics of Meat, published in March 2013. 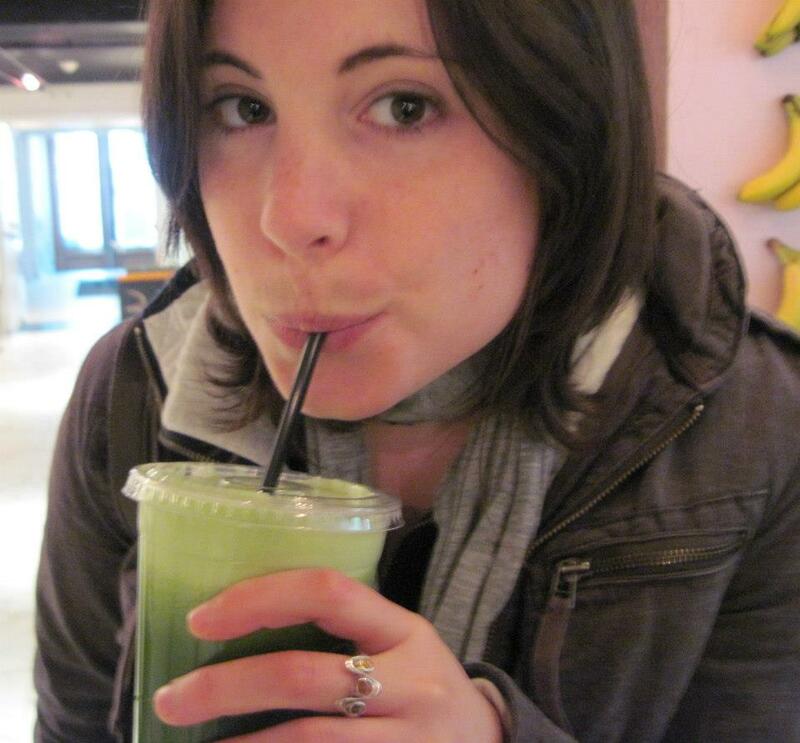 I am a former Vegansaurus correspondent, and contribute to vegan publications. Queer Vegan Food has been featured in numerous veg-friendly lifestyle publications including Huffington Post, Our Hen House, Choosing Raw, KrisCarr.com, MarieForleo.com and more. Follow me on Twitter: @QueerVeganFood and Instagram: Queerveganfood. If you’d like to submit a blog post or recipe, please e-mail queerveganfood @ gmail [dot] com. Thank you! Just found you via Twitter. This looks like one of the most refreshing vegan sites around. Saw Marie’s vlog….loved it! Great concept…”Let food be thy medicine”….Hipp…. Love your site! Love the recipes! To encourage gardening and connection to growing food, please sign my White House petition: wh.gov/gB7 I believe in the future of Victory Gardens in the US and its connection to veganism, reduction of the use of farm animals, and much more. on March 28, 2012 at 3:34 pm | Reply Sarah E.
Can you get in touch with us? We were referred to you by Carol Adams for possible inclusion in an anthology we’re putting together. If you send me your email, I’ll send you the details. on March 28, 2012 at 10:00 pm | Reply Sarah E.
Wonderful, I’ll get in touch! OMG… this rocks! Have you thought of creating Queer Vegan cooking classes online? on February 22, 2013 at 8:48 pm | Reply Sarah E.
HA, nope, but thank you so much for your enthusiasm and comments, Sharon! I look forward to staying connected here and on social media! [ Smiles ] Sarah, I LOVE your blog. But, why did you choose the name, “Queer”? on March 4, 2013 at 10:25 am | Reply Sarah E.
Why not? It encompasses my belief that all people of all orientations can benefit from a cruelty-free diet, and that inventive plant-based cuisine is “queer” in that it challenges social eating norms. OH and love the girl crush post. on May 20, 2014 at 6:44 pm | Reply Sarah E.
So glad to be in touch! 🙂 that’s awesome! just discovered your blog and am looking forward to dig into it. first impression: I am a bit amused that you depict yourself with a plastic cup and at the same time talk about the health of the planet 😉 all the best! on July 2, 2014 at 9:26 pm | Reply Sarah E.
on October 3, 2014 at 2:06 pm | Reply Sarah E.